The best stories are, of course, conflicted, and internal conflict deepens one’s knowledge of a character and raises the stakes for the outcome of the story. But . . . does the conflict need to be between good and evil? 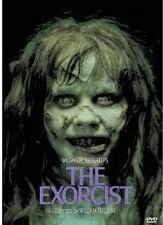 If a character is battling it out internally between such disparate forces, then there’s a chance the story will end up being comic bookish and the character end up resembling Linda Blair in The Exorcist. Perhaps it’s better for the internal conflict to be a bit narrower? Say between one’s need to do the right thing and one’s tendency to be selfish? I just read an article that said most people don’t particularly want to be good. They’d rather devote their efforts to other things such as being happy, successful, smart, attractive, healthy. Sounds like the makings of a good conflict. Battling one of these urges in order to do something selfless would make a character more real than one who has to battle their evil nature, because who of us is truly evil? Most of us are thoughtless, selfish, petty, pettish, angry, given to telling small lies and committing small dishonest acts, none of which are evil. Just human. According to that same article, goodness is about a person’s character — integrity, honesty, kindness, generosity, moral courage. A story person with such qualities would seem shallow and uninteresting and too good to be true. On the other hand, some characters who are supposed to be on the side of good do as much bad as the characters who are supposed to be evil. In other words, in a fictional world, it’s okay to be evil as long as your intentions are good. That would make a good conflict, too — a battle between a character’s good intentions and what the character really does. But such a battle is still not a conflict between the forces of good and evil in the same person. So, do you agree with Maxell Anderson? Do your characters have a massive internal conflict, or do their internal conflicts tend to be less dramatic? What are your characters internal conflicts? Does the internal conflict reflect or contrast the major conflict in the story? As for your villains — are they also conflicted but perhaps lose the battle to their less than stellar side? If you’d like to discuss this topic live, you can find me at the group No Whine, Just Champagne on Gather.com on Thursday, October 15, 2011 at 9:00pm ET (8pm CT, 7pm MT, 6pm PT). Otherwise, we can just chat here.